Cybercrime is a global epidemic, ruthlessly winning the war over cybersecurity. With advancing cyber attacks and techniques, hackers are rampantly compromising business & non-business entities of all sizes, gaining unauthorized access to networks and secure data. IAmI Authentications Inc. is on the quest to battle cybercrime. It’s our passion to help enterprises protect themselves against the threats of cyber intrusion attacks and data breaches so that businesses of all sizes, including retailers, healthcare and financial institutions to government departments, can protect their – and their clients’ – data, all in real-time! IAmI does not use SMS, Emails and/or OTPs for authentications. 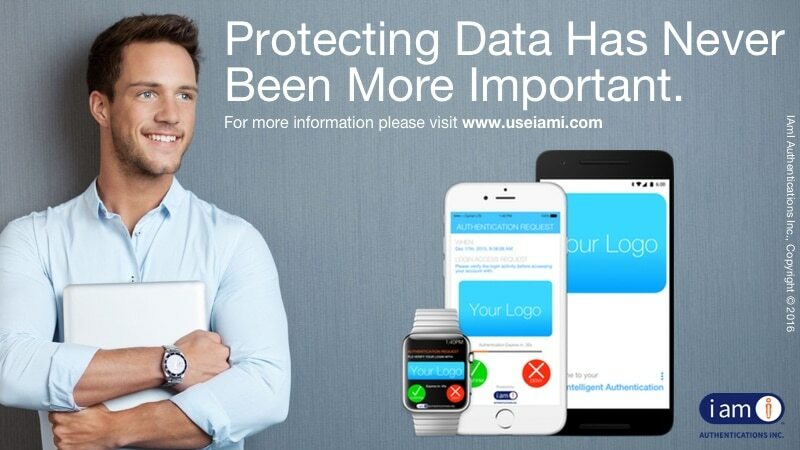 Instead, IAmI prompts users to complete their authentication with just 'one touch' to the IAmI white-label app. It's that powerful! 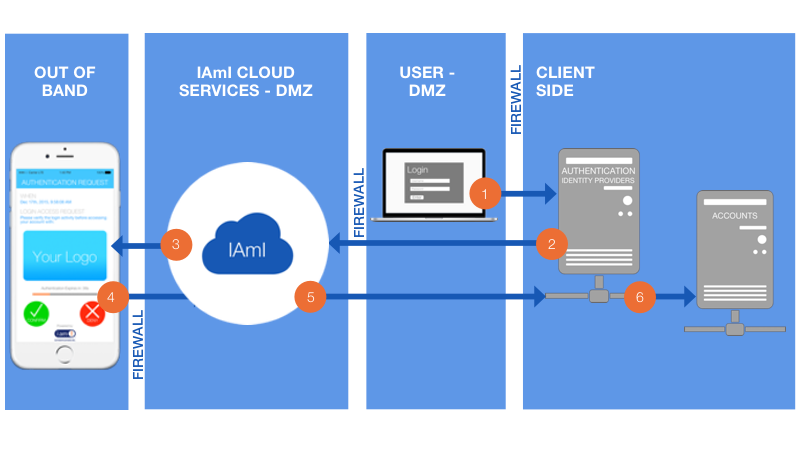 IAmI protects your network and data by empowering users to detect AND stop hackers - in real-time - when their login credentials are being used to gain unauthorized access. Unlike other authentication solutions, IAmI does not register PII of users. With IAmI integrated into your network, users are safely invited to use IAmI from within your network. Your user. Your PII. 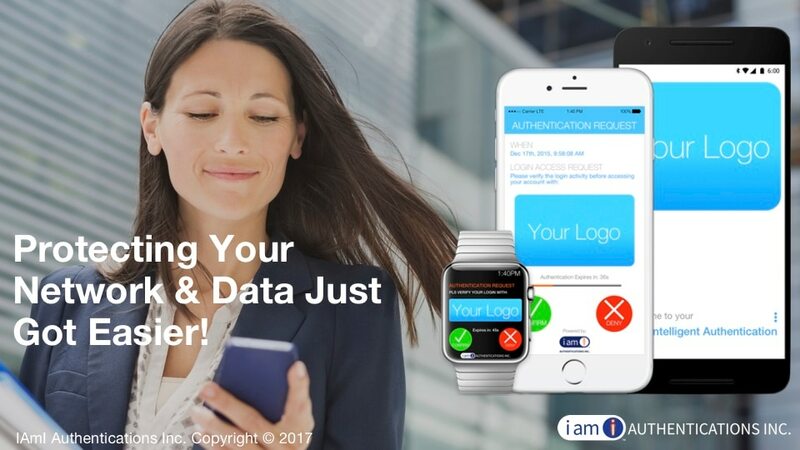 IAmI provides a comprehensive overview of user authentications, which can be used for audit/investigation purposes. This information is available to you, via the IAmI Client Account Portal. 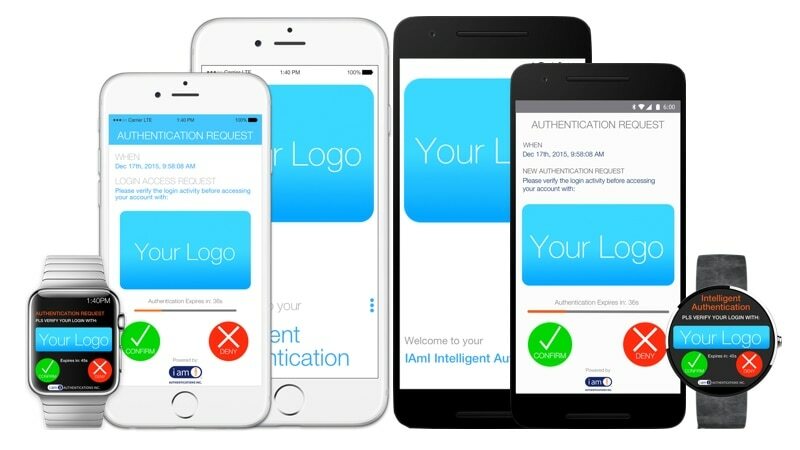 IAmI is a white-label solution, so your logo is placed on the application. Your users will feel safer knowing you are taking care of business and them while elevating their cyber security experience. Stopping Cyber Intrusion Attacks In Real-time! 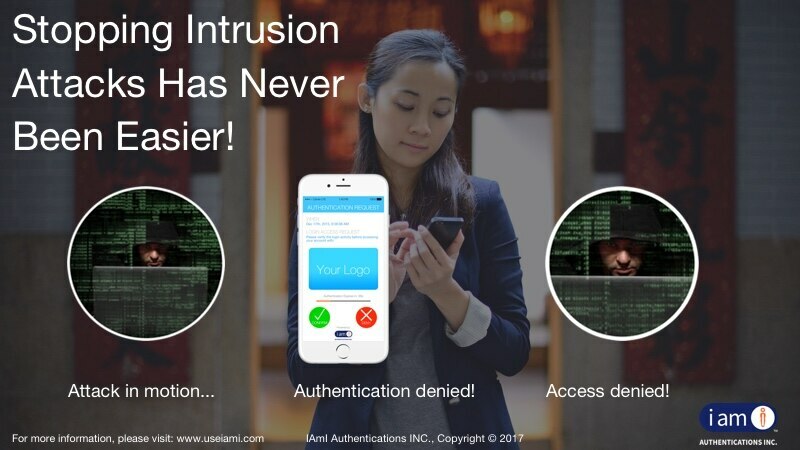 Stop Intrusion Attacks With Just One Touch! Protecting Network & Customer Data Has Never Been More Critical. 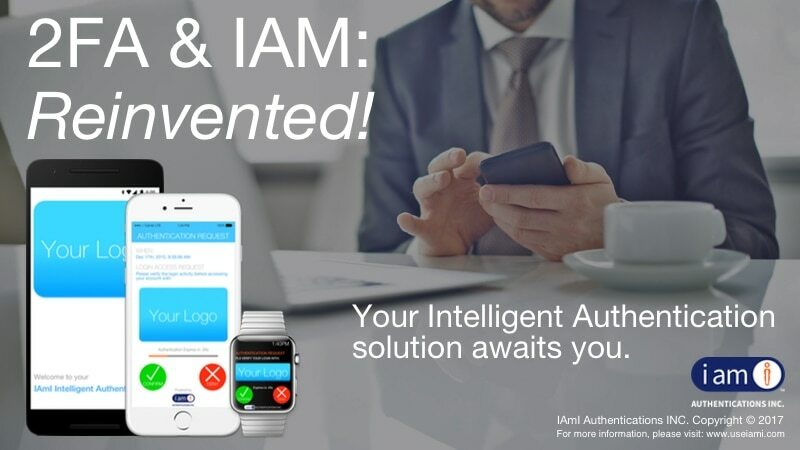 IAmI Reinvents 2FA & IAM Cyber Security Solution. IAmI: Compatible With Leading Devices. IAmI Offers A Secure Closed Loop Authentications Network. Authenticate via the IAmI app, in just 'one touch'. No OTP/SMS/Emails. Disable Hackers With IAmI's Realtime Detection & Preventive Solution. Provided by IAmI Authentications, Inc.